Not literally, that would hurt, brand your canopy to get your message across. Formerly known as our Titanium Package. This package has everything you want and little bit more. 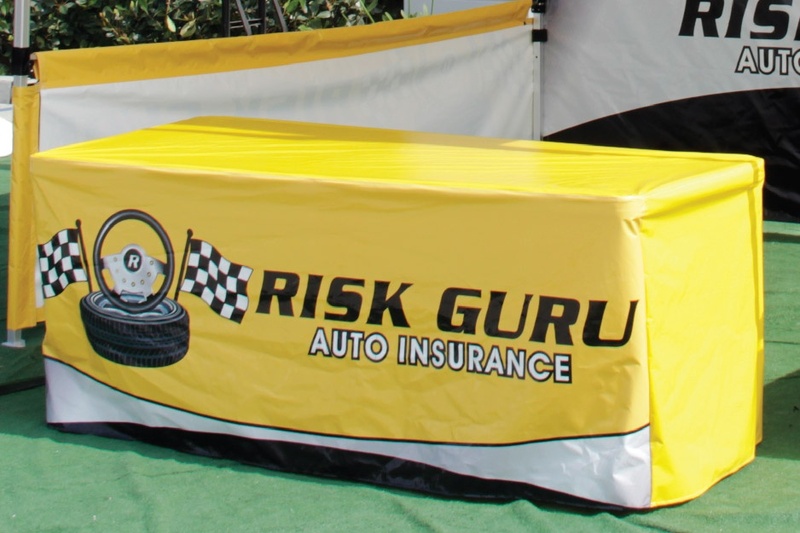 This package gives you everything from the Gold Package (custom printed tent top, back wall, rail skirts/short walls, table cover) and throws in four canopy flags and a Rhino Roller Hard Case to help protect your frame. 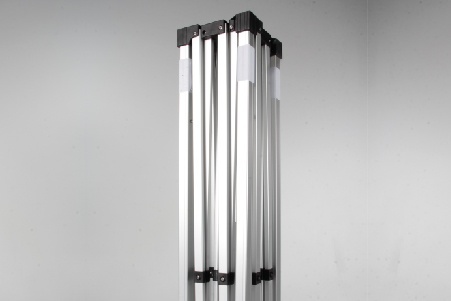 "Well constructed frame and easy to use. " You definitely want to stand out and without a doubt want to keep your frame safe during transportation. The Canopy Flag set gives you everything you could possibly want. 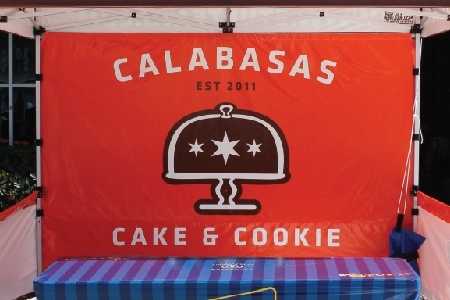 Custom printed flags, tent top, wall, rail skirts, table cover and a sturdy hard case to protect your frame. This is what you'll get in your Canopy Flag Package. Like we've said before, we like to give you options. As with the other packages you have your choice tent frame. Your tent top is the probably the first thing someone sees when walking towards your tent. Use it to your advantage to make a statement and draw them in. After the tent top has done it's job of drawing people towards your tent, the back wall is the next biggest thing they are going to see. If there was something you wanted on the tent, but it didn't fit on the tent top, this is the place to put it. 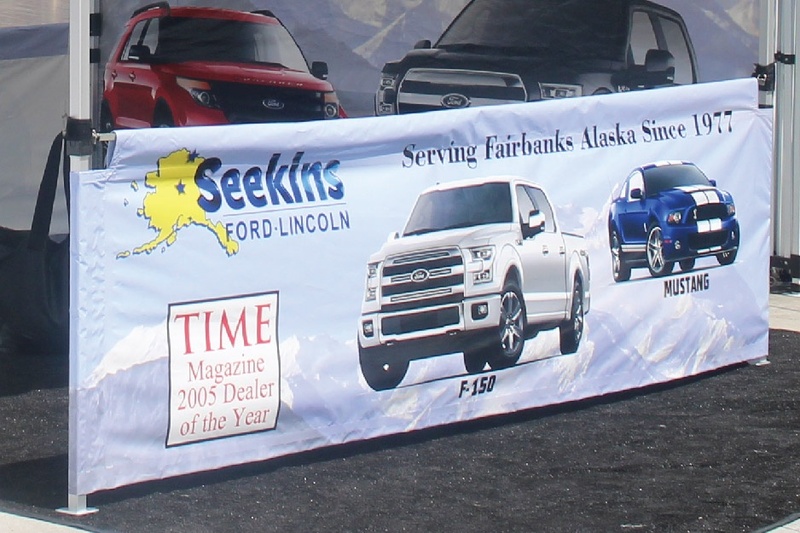 If you still had more ideas or designs you wanted on your tent, but didn't have enough room on your tent top or back wall, rail skirts are the perfect place for them. They are easy to see and offer almost as much space as back wall. 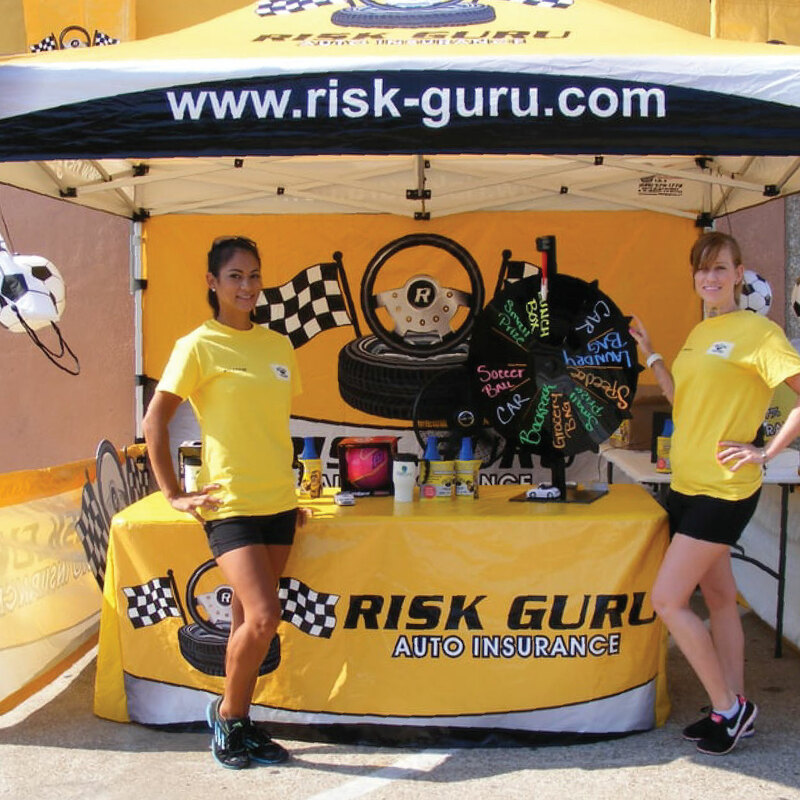 Do you know what would really look good with your branded canopy package? A custom printed table. You can place items on top, hide items underneath the table, and they are easy to clean. 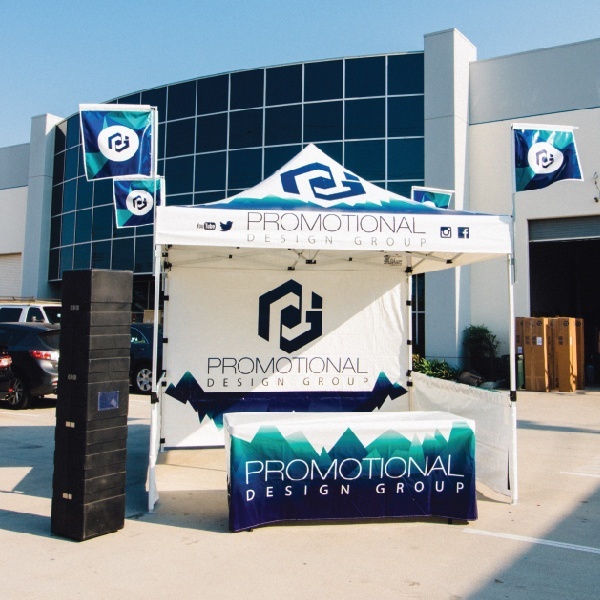 Be noticed from far away with your custom printed canopy flags. 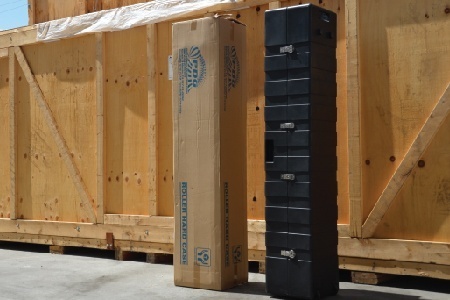 What really sets this package apart is the free Rhino Roller Hard Case that comes with it. You can be sure that your tent will be safe in this case. We've dropped it, hit it with sledge hammers, dropped it off trucks, and even hit it with a truck. After all that, the frame inside was safe and sound and the case barely had any damage. 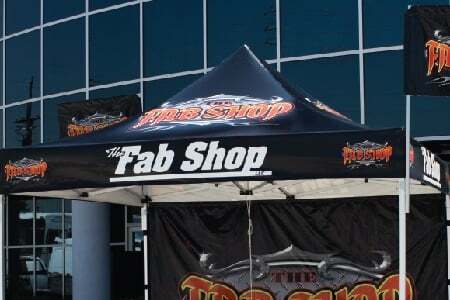 The whole point of getting a custom canopy is to get your brand across and let people know who you are. You want to make an impact and have people remember you. Take your time and think about what you want on your canopy. If you aren't sure and need some help we can definitely assist you with that. This is something that is going to last you years and we want to help make sure you get something that you are going to love. We belive in the products that we make for you and because we believe in them, we give longer warranties to back it them. Our frames come with a 2-10 year warranties, depending on the frame, our material and graphics come with 1-3 year warranties. 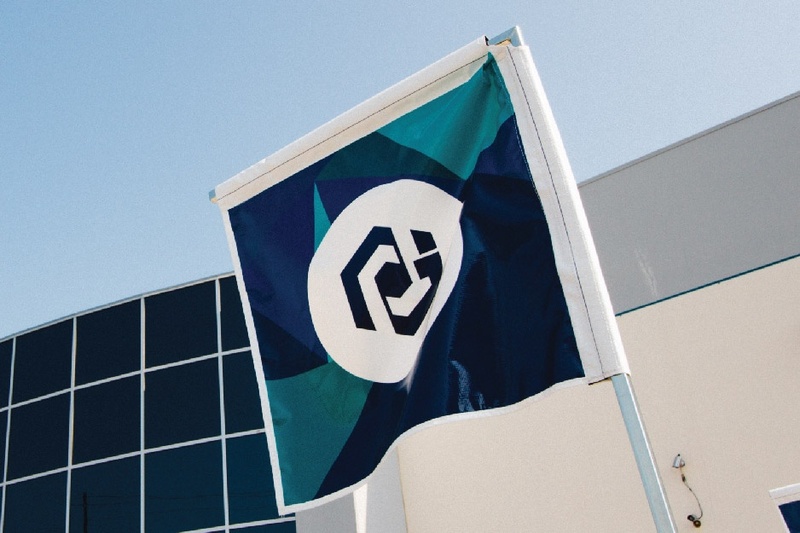 Would you like to see more detailed photos of our Canopy Flag Package? Check out our mini gallery below!